SALT LAKE CITY June 24, 2016 –Attorney General Sean Reyes recently received an award from a local journalist professional organization. 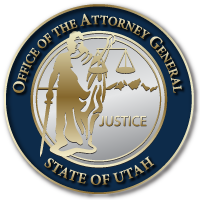 As always, the Attorney General welcomes feedback and advice on how the Utah Attorney General’s Office (AGO) can better serve Utah citizens in its constitutional role. It is the mission of the AGO to uphold the constitutions of the United States and of Utah, to enforce the law, and to protect the interests of Utah, its people, environment and resources, all while also upholding the highest of legal and ethical standards. Occasionally, this duty and the ethical obligations of legal practice conflict with the wishes of the fourth estate, including requiring that documents and information about investigations, methods, and evidence, be withheld. The AGO has a fiduciary responsibility as a law firm to protect the legal interests of citizens and the State. With hundreds of open cases at any given time that deal with sensitive information protected by attorney-client privilege, work product doctrine, HIPAA, the ADA or other governing laws, as well as court orders and victims’ rights, it is impossible for the Attorney General to provide all the information that may be requested by the press. The release of sensitive and confidential information to media about criminal investigations with confidential information about victims, witnesses, informants and investigators could be devastating to victims and have a chilling effect on witnesses, informants, and undercover officers. This applies to investigations being conducted by the AGO or other law enforcement agencies. To the specifics cited in the award, while the AGO recognizes the well-meaning intent to promote transparency, both cases involved open investigations, which protected records held by the AGO under Utah’s public records law. In one of the cases, there was an additional restriction–a sealed court order prohibiting disclosure by the AGO of the requested information. In such cases, even if the AGO wants to produce documents as it does in hundreds of other cases, and even if the media protests, the AGO is bound to obey court orders.